Last summer Odyssey Scholar Clara Stahlmann Roeder, Class of 2017, had a Metcalf Internship at the Lincoln Park Zoo. She looked at how different exhibit spaces and enrichment items affected meerkat behavior. “My favorite part has been getting to know the individual meerkats,” she says. 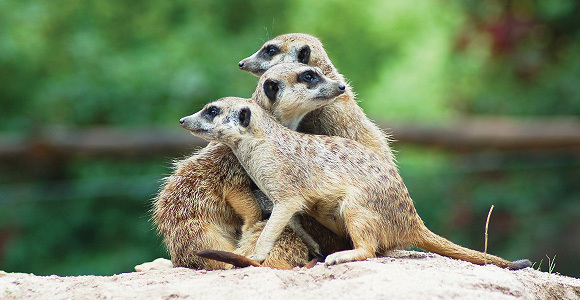 “First, it was just telling them apart physically, but now I’m getting to know their personalities.” A biological sciences major, Stahlmann Roeder is writing her senior thesis about the meerkats. What does an ideal day look like for a meerkat?